Diabetes is a disease in which the body is unable to produce or unable to properly use and store glucose (a form of sugar). Glucose backs up in the bloodstream — causing one’s blood glucose or “sugar” to rise too high. And, as most people know there are 2 types of diabetes: Type 1 – is when the body completely stops producing any insulin, a hormone that enables the body to use glucose found in foods for energy; Type 2 – occurs when the body doesn’t produce enough insulin and/or is unable to use insulin properly (insulin resistance). According to the American Diabetes Association from this year (January of 2011), there are 25.8 million children and adults that have diabetes in the U.S., which is about 8.3% of the population. Out of the 25.8 million total Americans that have diabetes, 18.8 million are diagnosed and 7.0 million are undiagnosed. What is alarming is the numbers for pre-diabetes. There are 79 million people who are pre-diabetic; and just last year there were 1.9 million new cases of diabetes were diagnosed in people aged 20 years and older. 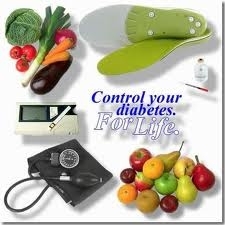 Listed below are some smart tips to manage your diabetes, and your overall health. Your team will specialize in different areas to help you manage your diabetes — primary-care physician, an endocrinologist, a registered dietitian, an ophthalmologist, a podiatrist (a foot-care specialist who can help prevent complications from diabetes-related nerve damage and skin sores), and a dentist. Daily monitoring really is the only way to know if they are under control. Diabetes symptoms are silent, so you may not notice an immediate repercussion when you neglect to take your medicine. Next to weight control and medical treatment, exercise is the most important thing you can do to take control over diabetes. As you are learning to gain control over your weight and blood sugar, it can be helpful to keep a log that includes some specific information about your eating habits. Smoking increases the risk of developing diabetes, and once you have it, smoking makes every problem and complication associated with diabetes even worse. Drinking between one-half and two alcoholic drinks per day has been shown to reduce the risk of developing type 2 diabetes by an average of 30 percent, compared with nondrinkers or heavy drinkers. Just as unregulated diabetes leads to high levels of glucose in your blood, it also leads to higher-than-usual levels of glucose in your saliva, which raises the risk for dental decay. Plus, diabetes makes fighting infection harder, so that if gum disease develops, you’ll have a more difficult time getting rid of it than someone without diabetes. People with diabetes are more likely to have sleep apnea than people without diabetes — and OSA itself increases the risk of insulin resistance and may be a roadblock to diabetes control. Diabetes can cause neuropathy, or nerve damage, in the extremities — usually starting in the feet, so good foot care is critical. The key words are clean and dry. The regarding post information is truly looking just mind blowing. And the post really represents the most fabulous feature to control our diabetes level. I totally agree with you that we should really check our diabetes condition. And we should eat beans and lentils because of they are the lean sources of protein. Walking is really the most fabulous physical exercise for that. I am really impressed to see this information. Thanks for sharing. Living a healthy life has its benefits and all the efforts towards it will surely be rewarded in the end. Here are some of the tips to maintain diabetes such as Attend your routine duties with pre plan to avoid tension, Try to take things easily, Divert your mind to aesthetic sense and Feel yourself better than others with diabetes. 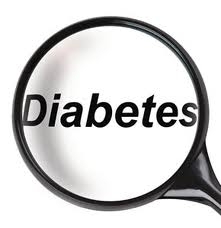 It’s true that diabetes really effect’s your skin..
Diabetes is closely related to mental stress and depression in many cases along with the conditions as diabetes uncontrolled emotional behavior worse it is true.